Cellular therapy using stem cells for cardiac diseases has recently gained much interest in the scientific community due to its potential in regenerating damaged and even dead tissue and thereby restoring the organ function. 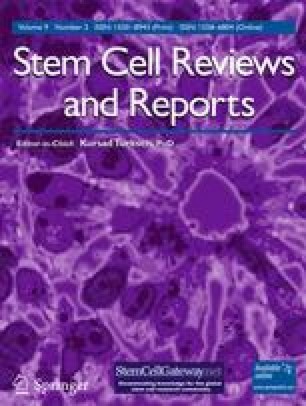 Stem cells from various sources and origin are being currently used for regeneration studies directly or along with differentiation inducing agents. Long term survival and minimal side effects can be attained by using autologous cells and reduced use of inducing agents. Cardiomyogenic differentiation of adult derived stem cells has been previously reported using various inducing agents but the use of a potentially harmful DNA demethylating agent 5-azacytidine (5-azaC) has been found to be critical in almost all studies. Alternate inducing factors and conditions/stimulant like physical condition including electrical stimulation, chemical inducers and biological agents have been attempted by numerous groups to induce cardiac differentiation. Biomaterials were initially used as artificial scaffold in in vitro studies and later as a delivery vehicle. Natural ECM is the ideal biological scaffold since it contains all the components of the tissue from which it was derived except for the living cells. Constructive remodeling can be performed using such natural ECM scaffolds and stem cells since, the cells can be delivered to the site of infraction and once delivered the cells adhere and are not “lost”. Due to the niche like conditions of ECM, stem cells tend to differentiate into tissue specific cells and attain several characteristics similar to that of functional cells even in absence of any directed differentiation using external inducers. The development of niche mimicking biomaterials and hybrid biomaterial can further advance directed differentiation without specific induction. The mechanical and electrical integration of these materials to the functional tissue is a problem to be addressed. The search for the perfect extracellular matrix for therapeutic applications including engineering cardiac tissue structures for post ischemic cardiac tissue regeneration continues.